Cherry Red Records are responsible for quite an astonishing variety of reissues and hard-to-find releases ranging from Suzi Quatro through Hawkwind to Francoise Hardy. Their Hot Milk incarnation specifically caters for reissued reggae classics of previous decades, including releases that had become very hard to get hold of. During 2013 the Hot Milk label has made a number of these key releases available anew. Keith Hudson’s ‘Torch of Freedom’, originally released in 1975, stands alongside his elusive ‘Pick a Dub’ as a vintage reggae release and can now be heard here as though it were straight out of the studio. With all tracks written and produced by Hudson, ‘Torch of Freedom’ kicks off with ‘Lost All Sense of Direction’ then straight into its dub (‘Jah Jah’), setting a pattern for the rest of the album. The dub versions are of their time, relatively gentle and musical rather than heavily bass-driven or hi-hat dominated as in the sound of other producers. The album closes with the dub of the title track, a neat summary of Hudson’s characteristic sound. Keith Hudson never quite got the recognition bestowed on some of his contemporaries – perhaps his music was never clearly defined as roots, rebel or explicitly political, hence falling between different audiences – but listening to this album again makes that neglect as puzzling as ever. The Mighty Diamonds are still going strong (see reggaemusic.org.uk 12th September 2013) and on this re-release of ‘Planet Earth’ from the late 1970s there is a complete pairing for the first time with a dub version of each track. The vocal tracks are strongly melodic in the Diamonds tradition. Featuring luminaries such as Sly Dunbar and Tommy McCook, this is the first CD release of ‘Planet Earth’, and the rapid advances in production capability during the 70s are evident, as on ‘Dub with Garvey’ where percussive and bass-led rhythm come to dominate. The real surprise in the initial batch of Hot Milk releases is ‘Boss Man’s Dub’ from Linval Thompson and the Revolutionaries – billed as the ‘lost 1979 Dub album’ and never before having had a full commercial release. 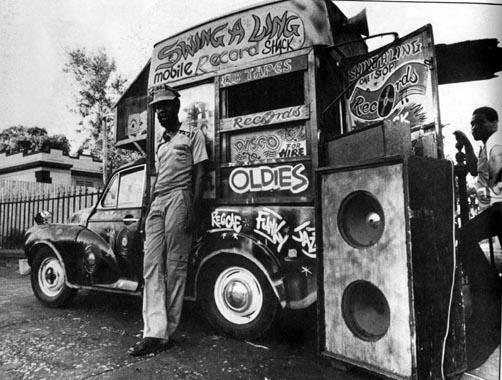 Here the dub sound of the period comes into its own, whether on versions of mainstream songs (‘La La Means I Dub You’) or on powerful bass-heavy tracks such as ‘Boss Man’s Dub’ or the excellent bonus tracks ‘Morning Dub’ and ‘Roots Version’. Dub as it was meant to be. Shame that Hot Milk had to shelve their Eek a Mouse release this autumn, but early 2014 offers the prospect of the Upsetters’ ‘The Good the Bad and the Upsetters (Jamaican Edition)’, uniquely comprising the Lee Perry versions and track selections of his original Jamaican album rather than the different configuration of the UK release. It promises 13 instrumental versions and a DJ version of opening track ‘Same Thing All Over’, all elements in the evolution of Perry’s dub sound. Well worth the wait.